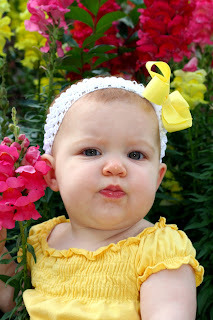 Reflections by Amanda Smith: LOVE sitting babies in beautiful flowers!!! 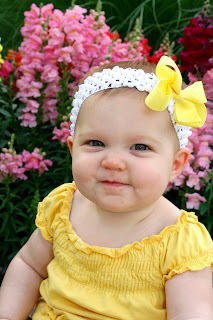 LOVE sitting babies in beautiful flowers!!! This is Miss Madelyn- you may recognize her from many posts as we have watched her grow, but I had to share a few pics of her now that she is sitting all by herself! And surrounded by BEAUTIFUL flowers! I don't know which one I like better the half-smiling one or the Attitude one!